This time of year fruit takes on an important role in the kitchen. Cool fruit salads, jellies and jams are the norm. But what some folks don’t realize is fruit can be satisfyingly grilled for a unique approach to desserts. One thing to note about grilling fruit: this is one situation where slightly unripe fruit is OK. Grilling will soften and sweeten the fruit. I will do a trio as they are quick and simple, yet deeply satisfying. Let’s start with Grilled Figs with Honey Yogurt. I learned this year that figs can be successfully grown here in Zone 5. It’s on the list of things to try for next growing season. Put figs on grill, if needed use foil or a screen or one of those grilling things that has the holes so figs don’t fall through. For the next one it doesn’t get any easier. 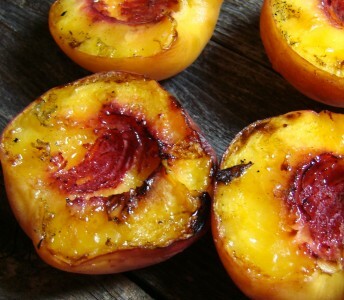 Grilled peaches. It tastes like pie! Turn cut side up and grill another 3 minutes. You don’t want them turned to mush. 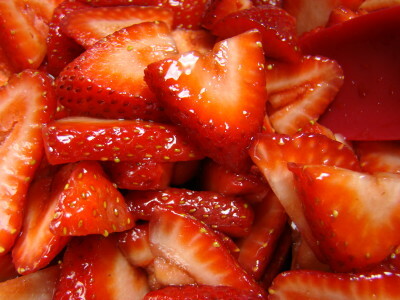 And finally, grilled strawberries. For this you let them mascerate a few minutes before grilling. Don’t be afraid to grill your fruit! Have you ever tried using a blow-torch (like you would use for stripping paint) in the kitchen? 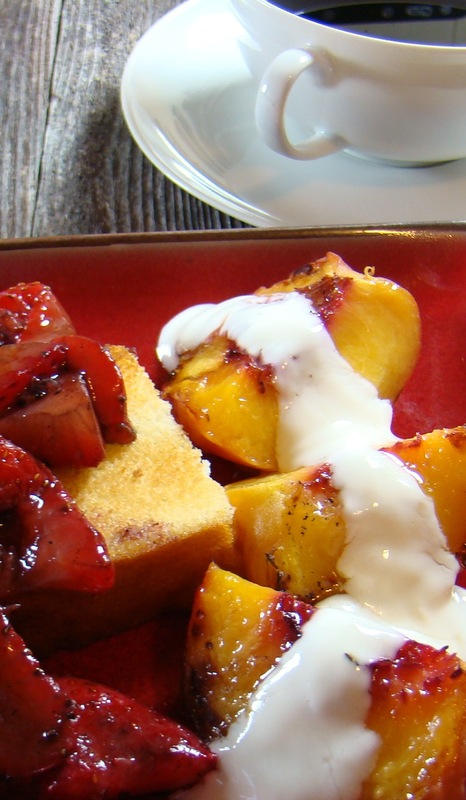 It's great for caramelizing sugar sprinkled over fruit, like peaches for instance. Mark – it is a good technique. Especially for creme brulee! Yes, to answer your question. 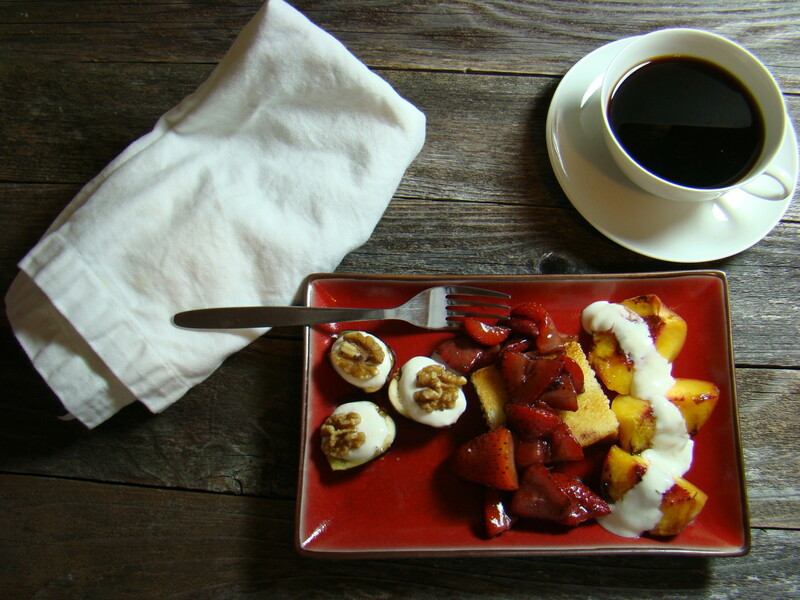 Figs & peaches on the grill are wonderful but I've never considered, nor seen, strawberries done this way. Great idea, David, and I can't wait to give 'em a try. That new grill grate of mine needs to be kept better occupied. Hi ChgoJohn, try the grilled strawberries over some of that ice cream of yours!